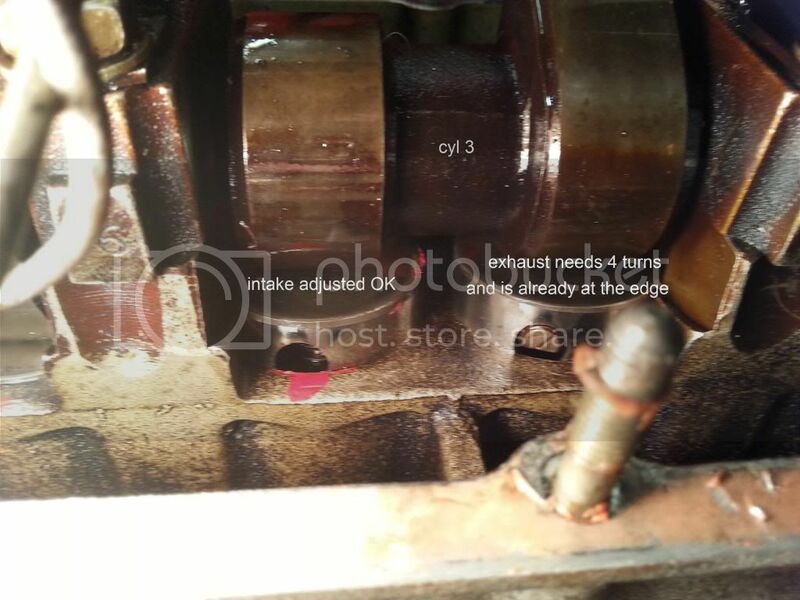 924Board.org :: View topic - Have a 924/924T engine laying around? 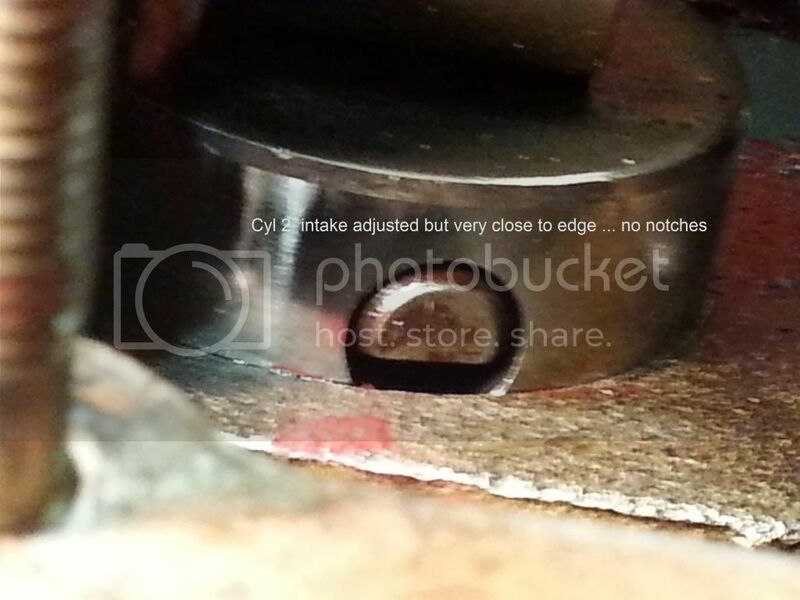 Posted: Sun Apr 13, 2014 1:11 am Post subject: Have a 924/924T engine laying around? Does anyone who has removed their 924 or 924 Turbo engine still have it laying around? Maybe using it for a door stop! I am desperately trying to find some valve adjusting screws for my '82 924 Turbo. Seems the screws are NLA so I guess if I find any, they will be in an old junk engine. I was hoping someone who has done engine swaps in 924 might have some junk 924 engines laying around or perhaps know where I could find these screws. I need at least 4 E's with 2 notches and one 3 (F) notches or 4 (G) notches. 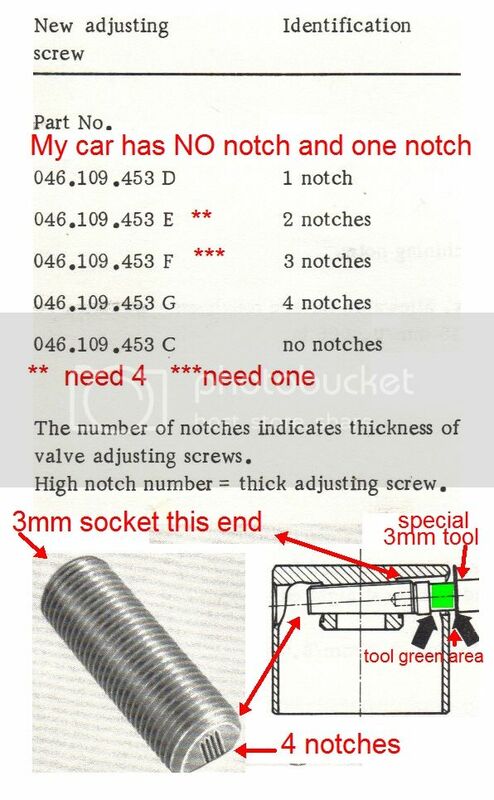 I have one exhaust valve with a one notch screw that needs at least four turns of the screw but it is already at the edge of the can follower so no adjustment is left. Other NO notch and one notch screws are too close for comfort to the edge after adjustment. Any other ideas? have any of these Valve Adjusting Screws, perhaps in an old junk engine you would be willing to sell? My '82 931 needs a valve adjustment bad! There's one engine in the back of my garage, and another local scrap yard has one I'd rather salvage than see scrapped. Unfortunately that particular corner of garage is not conveniently accessible right now. I've never looked under the valve covers, probably the cars I'm working on should be gapped as well. I'm guessing the larger diameters are needed to compensate as other parts wear? Im curious what other sources have you found? knows a lot of people and found the screws for me. These screws would be "bench stock" for someone who works on these cylinder heads but since there are so few of these engines, the older men who worked on them are retired.